Climate change is expected to make the situation of sustainable fisheries governance even more urgent and critical. However, the full implications of climate change for international trade of fish and fishery products are not well known and require further study. Research is particularly needed on the links between changing resource abundance/distribution and fisheries and aquaculture production systems at regional and national levels. What is known is that climate change will increase uncertainties and raise risks – as well as opportunities - in the supply of products from both marine and inland capture fisheries and aquaculture. Climate change and increased carbon dioxide absorption in the world's oceans leads to warming water temperatures; changing ocean currents; southern oscillation; sea level rise; changes in rainfall, river flows, lake levels, thermal structure, storm severity and frequency; and ocean acidification (1). These impacts could result in changes in total fish catch, composition of the catch, and the distribution of fish, especially within Exclusive Economic Zones (EEZs) in tropic regions, as fish move to cooler waters found further offshore. These changes could especially impact small-scale fishers using traditional methods. Extreme weather events and sea level rise are anticipated to impact fisheries related infrastructure such as ports and fleets, further raising costs of fishing, processing and distribution activities. As a result of these expected impacts, climate change has the potential to change the distribution of fisheries production, the competitiveness of exports from the fisheries sector, and thus ultimately world trade patterns. While some regions may gain from expected resource shifts, others will face major adjustments, and thus risk sustainability of their livelihoods and food security. Climate-induced movements in aquatic species used by the fisheries and aquaculture sector will require adaptation at all stages of the seafood value chain, from producers, processors, marketers, exporters, and importers as they search for and adapt to changing supplies in order to meet the world's growing demand for seafood. One early model developed to predict the impact of climate change on capture fisheries illustrates a latitudinal shift in currently targeted species that could drastically alter the location of fishery resources (Cheung et al., 2010) (2). Tropical countries could face up to a 40 percent drop in catch potential of traditional and/or commercially-valuable species. Whereas high-latitude regions could gain as much as a 30 to 70 percent increase in catch potential, as illustrated in Figure 1. This has vital implications for tropical developing countries and small-island states highly dependent on fisheries for livelihoods, export earnings, and domestic food security. Other vulnerable communities and economies, including many African coastal states are particularly exposed to climate change impacts in fisheries and aquaculture due to low adaptive capacity and high dependence on the resource (3). A more recent model in 2012 was developed to estimate climate change impacts on capture fisheries production (Merino et al, 2012) (4). The Merino model predicts a 6 percent increase in potential yield from large commercially-valuable fish stocks by 2050 but this is less than the expected human population growth rate. The authors propose that aquaculture could fill the gap between future supply and demand but that such intensification will require technological advances to ensure that the increased production does not have a negative environmental impact, for example, by significantly lowering the FIFO rates. The Merino model does predict one constraint on aquaculture growth; falling output from the anchovy fisheries in Latin America due to more unpredictable El Niño effects and increased severe weather episodes from climate change. This is expected to contribute to rising prices and increased price variability for fish feed ingredients as demand growth leads supplies. Another recent study by Barange et al (2014) is optimistic in its projections that global fish supplies will be able to meet rising global demand in 2050, though not without possible negative impacts on vulnerable regions (5). A redistribution of resources as a result of climate-induced shifts will imply the need for changing trade patterns to move products from surplus to deficit regions. It is likely, however, that the deficit regions will lack the financial resources necessary to pay for these imports and will result in net losses for some of the most vulnerable fisheries communities. The Barange et al model combines predicted productivity changes from climate change with measured vulnerability of populations dependent on fisheries resources. The results illustrate that South Asian and Southeast Asian fishing communities are highly vulnerable to the impacts of climate change on fisheries, in part due to high population density and dependency on the resource for food security. Coastal communities in West Africa are also at high risk, and even though the climate change impacts in this region are expected to be not as severe, these populations are less economically able to adapt to changes and thus more vulnerable. Despite these general models that predict worldwide impacts, different conditions exist around the world, both regionally and nationally, and various adaptation responses will be needed, particularly for aquaculture. 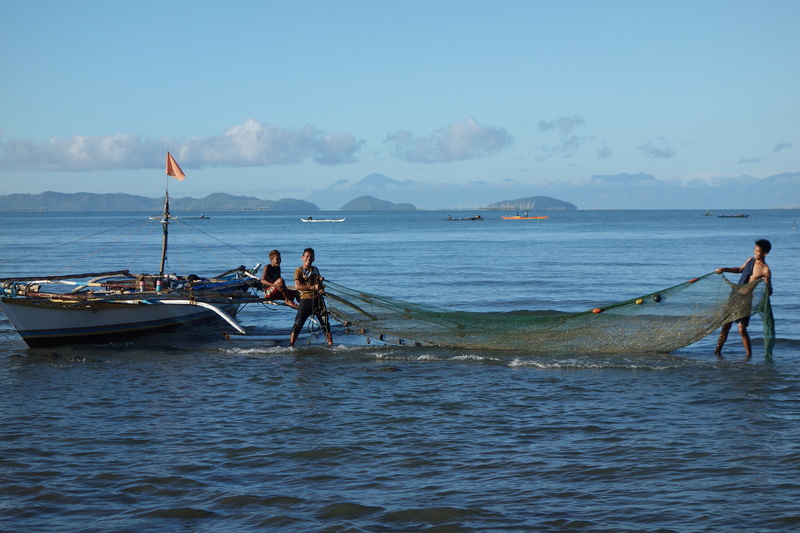 Thus, further work needs to be done at the national and regional level in order for these projections to be useful for policymakers, who must decide on how to allocate limited financial resources in order to assist the vulnerable fisheries communities to adapt to climate-induced resource changes. It is early days for predicting climate change impacts on aquatic resources and all of the stakeholders along the seafood value chain. It is certain that there will be shifts in fisheries resources, with net winners and losers. Linking early predictions with production and eventually trade flows requires additional research efforts, especially moving down from global to regional and national level analysis. More experience in how the sector can transition to climate-ready production and post-harvest activities need to be collected and shared. There also needs to be more flexibility in existing management tools used by national governments and Regional Fisheries Management Organizations (RFMOs) to allow adequate policy space for countries to adapt to changes in resource availability under climate change. To further information sharing among stakeholders, FishAdapt, an international conference was held in Bangkok from 8 to 10 August, to bring together experts from the sector, academia, civil society, government and intergovernmental organizations to share their experiences in building fisheries and aquaculture sector adaptation to climate change. (1) De Young, C., D. Soto and J. Muir. 2013. Module 10: Climate-Smart Fisheries and Aquaculture. In: Climate Smart Agriculture (CSA) Sourcebook. (2) Cheung, W, V. LAM, S. Sarmiento, K. Kearney, R. Watson, D. Zeller, and D Pauly. 2010. Large-scale redistribution of maximum fisheries catch potential in the global ocean under climate change. Global Change Biology. (3) Allison, E., A. Perry, M-C Badjeck, W.N. Adger, K. Brown, D. Conway, A. Halls, G. Pilling, J. Reynolds, N. Andrew and N.Dulvy. 2009. Vulnerability of national economies to the impacts of climate change on fisheries. Fish and Fisheries. (4) Merino, G., M. Barange, J. Blanchard, J. Harle, R. Holmes, I. Allen, E. Allison, M.C. Badjeck, N. Dulvy, J. Holt, S. Jennings, C. Mullon, L. Rodwell. 2012. Can marine fisheries and aquaculture meet fish demand from a growing human population in a changing climate? Global Environmental Change. (5) Barange, M., G. Merino, J.L. Blanchard, J. Scholtens, Harle, E.H. Allison, J.I. Allen, J. Hold, and S. Jennings. 2014. Impacts of climate change on marine ecosystem production in societies dependent on fisheries. Nature Climate Change Letters.